Both of my kids love remote control cares and this RC Landrover Defender is a sturdy, easily controlled and manoeuvred beast! 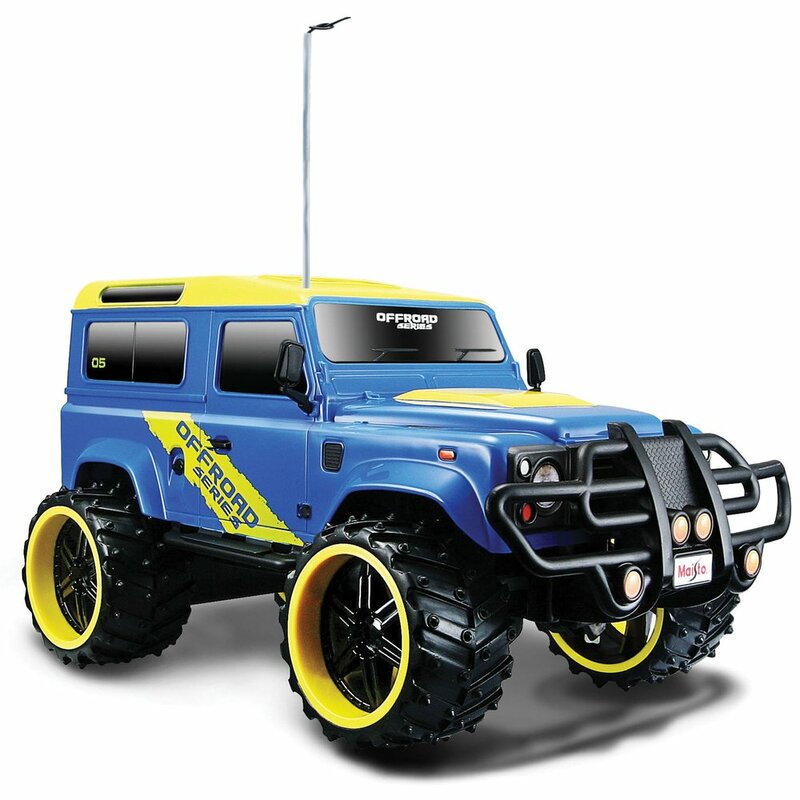 The remote control Landrover Defender 1:16 scale comes with large wheels with big off-road tires. It’s great fun and speeds along and would be fabulous along empty road track, and concrete footpaths. We had lots of fun round the house with it and outside along our patio too with lots of curves and turns and backwards and forwards. There is actually a turning wheel on the transmitter and you have great control around objects and on difficult corners. Even big kids like my hubby like to play with toys like this and racing them alongside other remote control toys is just brilliant! It’s available from Hawkins Bazaar at £40. My kids loved it and had great fun sending it up and down paths and around our wooden floors. Hawkin’s Bazaar is a great store to explore. As well as rather a HUGE range of remote controlled toys in all shaped and sizes Hawkin have an array of unusual gifts that are lots of fun for all the family. You are bound to pick up a quirky gift from there . *Don’t drive the vehicle on grass, through sand or water or in windy or rainy weather. Why Is Size Important To A Family Home?